Hungering for a reliable and efficient metalforming process to produce, among other barbecue-grill parts, cosmetic stainless-steel panels free from marks and other aesthetic issues, the metal-fabrication team at Weber-Stephen Products LLC, Palatine, IL, recently turned its attention to new coil-feed technology. Equipped with 15 stamping presses (28- to 800-ton capacity), the Weber press shop processes a wide range of material types and thicknesses—stainless and mild steels, aluminum alloys, galvanized and other precoated sheetmetal from very thin sheet 0.018- to 0.134-in. thick. 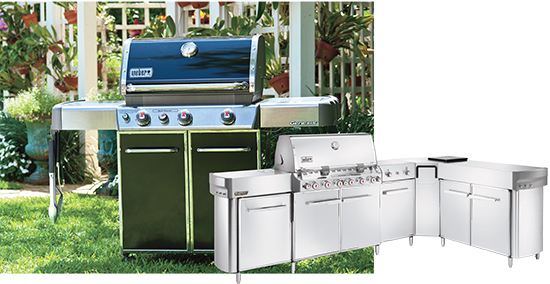 The Weber product line bears little resemblance to the original “American backyard barbecue.” Since 2007, Weber has introduced dozens of new models—groundbreaking aesthetic designs with stunning curves and sleek lines, and in flawless stainless-steel and brightly-colored enameled finishes. Along with the addition of several new presses and dozens of new progressive dies, Weber has added six coil-feed lines to its pressroom since 2007. 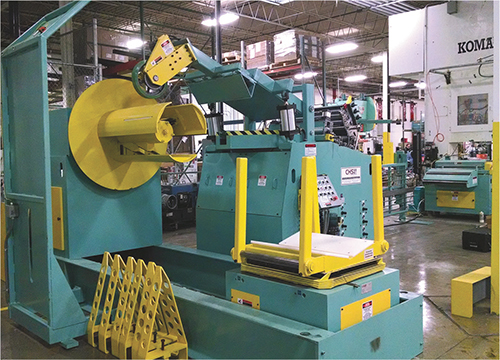 The newest line in the plant, shown here, is a 15,000-lb.-capacity CHS servo-feed line, with coil capacity of 36-in. wide by 0.050-in. thick material. The line accompanied a refurbished 300-ton Komatsu straightside press (vintage 1986) tasked primarily with stamping stainless-steel and other aesthetically sensitive sheetmetal panels. Weber worked closely with CHS to provide several feed-line features to meet its specific application-based requirements. Among them is the dual-caliper failsafe braking system on the coil reel, shown here. 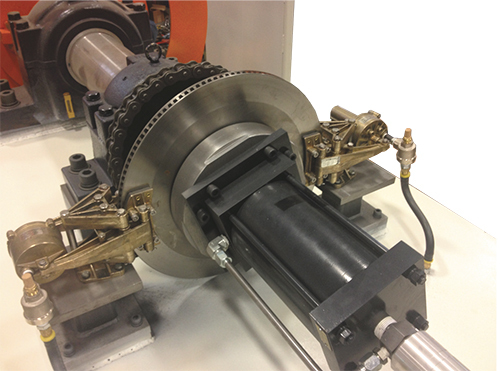 The braking system is self-monitoring and auto-adjusting based on laser gauging of coil OD, significantly more operator-friendly than feed lines that require operators to constantly make adjustments. Very useful & informatics for our industries.